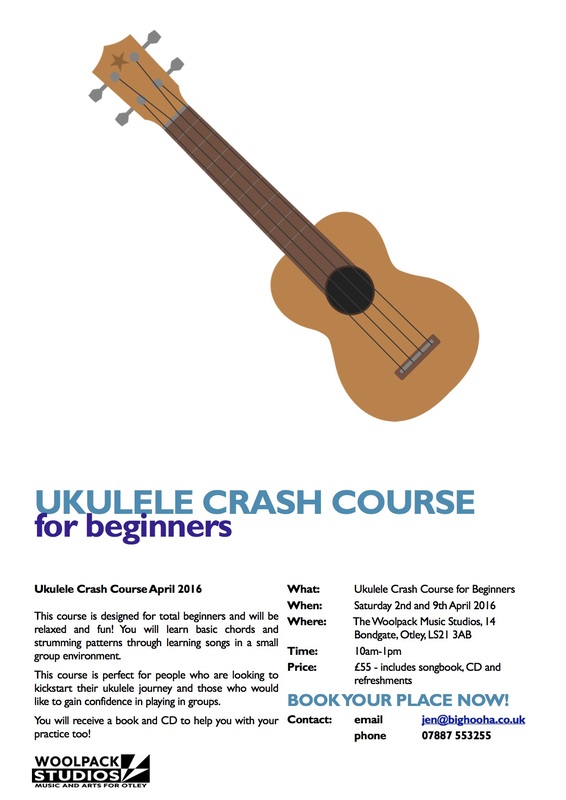 Kickstart your Ukulele Adventure on our Beginners Crash Course! The course is designed with total beginners in mind – especially those who do not have a lot of time to spare! On the course, we will cover basic chords and strumming patterns by playing songs together. You will gain confidence in playing with others and reading chord sheets. A book, CD and cuppa is all included in the cost! Three top-class ukulele artists live in Otley! 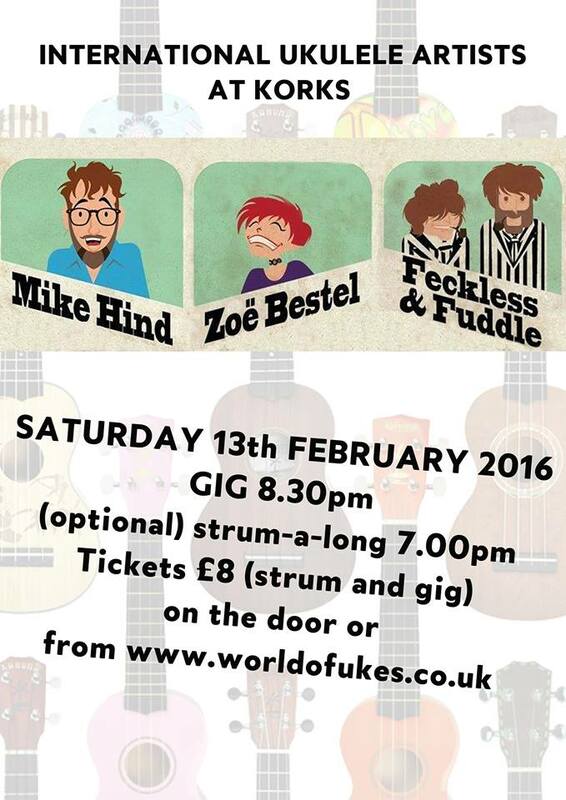 I’m really excited to be welcoming 3 incredible ukulele artists to Otley on Saturday 13th February! I really hope you can come – there is an optional strumalong too so bring you’re uke! Feckless and Fuddle will get the evening off to a great start with a strumalong for all!